These are easy and tasty chicken wings marinated in garlic and lemon. This recipe has them cooked under the oven grill but they work equally well, if not better, on the barbecue. 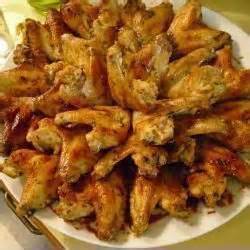 1) Mix the olive oil, lemon juice, salt, pepper and garlic in a bowl then add the chicken wings. 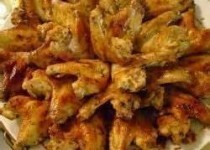 Cover the bowl with plastic wrap and marinate chicken wings in the refrigerator for 1 hour. 2) Line a baking tray with foil and preheat the oven's grill. 3) Remove the chicken wings from the marinade and place on the prepared baking tray. Grill for approximately 7 minutes flipping them once. If desired, sprinkle with parsley.